Tower Health has named Lisa Hess as Vice President, Marketing and Communications to Tower Health, effective October 23. In this role, Lisa will be responsible for planning, development, implementation and measurement of internal and external marketing, communications, media relations and digital strategies for the system. Prior to joining Tower Health, Lisa had served as Vice President, Marketing, Corporate Communications & Customer Engagement and Vice President Marketing & Customer Relationship Management at Lancaster General Health since 2007. 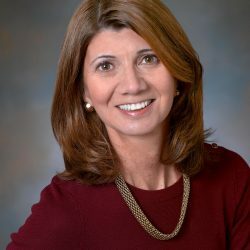 She also spent part of her career at Main Line Health, from 1995 to 2007, serving as Director of Hospital & Service Line Marketing for Paoli Hospital, Product Line Marketing Manager for Main Line Health and Marketing, Public Relations, Communications Manager for Bryn Mawr Rehab. Lisa served on the Board of Directors for Discover Lancaster and is a member of the Society for Healthcare Marketing Strategy and Development, American Marketing Association and Direct Marketing Association. She received her Bachelor of Science in Finance from Pennsylvania State University, University Park, Pa.